Do you dress like the First Lady when you garden? I think that she is the first gardener that I ever saw wearing designer clothes! I think that we will try to have a small garden this year for the deer to enjoy. Hah, we have to fence ours off from a certain adorable kid 😉 As for the clothes, yeah, you would think designers make casual stuff too, no? I mean, I wouldn’t *know* but I’d imagine…. I dunno about Michelle, but I only wear designer rags in the orto if newspaper photographers or TV crews are showing up. That said, I am faced with 1) cut down a 100s years old walnut tree or 2) get vegetables. If I had designer rags, I’d probably throw them on for a TV crew…but in the garden? Hmm…. We have a small vegetable garden that the hubby takes care of. Even if I descend from a long line of farmers and green thumbs, I am a certified plant killer. But I give advice and tell him what I’d like to grow. For example, this year I’d love some cilantro. I adore flowers too and the gardener just planted some jasmine and photinia. I also bought myself a rhododendron even if I have no idea how to take care of it! milanese masala’s last blog post..Here come the sons! Lucky you to have all those fruit trees – and Pasqualina too. My little tomato seedlings are sprouting – some from seeds I bought in Italy, some fruit heirloom tomatoes I ate last year. There’s nothing like stepping outside your door to pick fresh garden tomatoes. although I sadly do not have a patch of green to grow my own vegetables in, I’m curious if in your infinite knowledge, you could steer me towards a Community Supported Agriculture network here in Rome, where I live and love. I know the purchase associations are called GAS (Gruppi di Acquisto Solidale), but the web only provides very few contacts… Why don’t you dig into that? 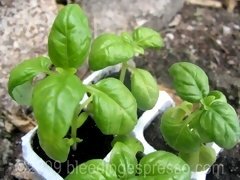 Each year we get our usual herbs going – basil, rosemary, mint, etc. I would LOVE to get a bigger garden going and hopefully we can get it in gear before the baby arrives. The weather has not been ideal for starting this project though, so pray for a good weekend to start planning and planting! La famiglia have a wonderful garden, ands we are often given fruits and veggies from it. But it is a rather long steep walk to get there, halfway down a mountain. I dream of beehives, chickens, roses and a dog….one day if I’m lucky! We’re *very* lucky to have found this place so close to the house…so many people do that walk you’re describing…. I swear it’s as if you’re reading my mind (hehe, or my blog) I was just saying yesterday that I’m going to learn to garden!! I can’t wait to get started!!! I’m going tomorrow to a local organic farmer’s market to ask questions about the Sicilian soil, the sun and how to get started. Hopefully my spoken italian doesn’t fail me 😀 I always understand them but they never understand me!! Hah, I’m sure you’ll do great, Meagan! And best of luck with that garden! What a terrific post this is, Michelle! It’s so chock full of great information and inspiration! Susan from Food Blogga’s last blog post..It’s a Food Blogga Give-Away for a Trader Joe’s Cookbook! 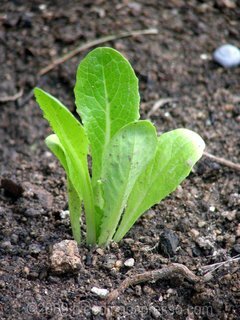 I recommend two websites, Baker Creek Heritage Seeds (http://rareseeds.com) and the New Square Foot Gardening by Mel Bartholomew. His website is squarefootgardening.com. Can’t wait to see how your new garden grows! Good luck! What an amazing post filled with awesome resources and ideas! Love this, Michelle. I’m gradually adding to my garden. So far, I have rhubarb, beets, mustard greens, spinach, potatoes, and some other stuff I can’t think of right now! LOL I’ll also be adding more soon. Love, love, love fresh, homegrown veggies!! Too wet here to till the ground to get the tomatoes and peppers planted.gggrrrrr. Can’t wait though! Nasty groundhogs 🙁 Herb gardens are fun too, though! I live in an apartment complex so I can’t really garden but I do like to keep potted herbs around. 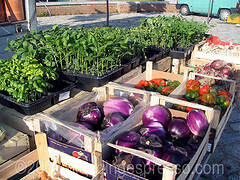 I really need to get to the Mercadillo this Friday to buy more as some of my herbs are way past their prime…. .-= Murasaki Shikibu´s last blog ..Sesame Sourdough Bread =-.